This blog is somewhat of a diary, but I leave out on many parts of my life. And I only write about the creative part of my life anyway, which is of course not even 10% of what happens with the weird thing that goes under the name Frits Jonker. 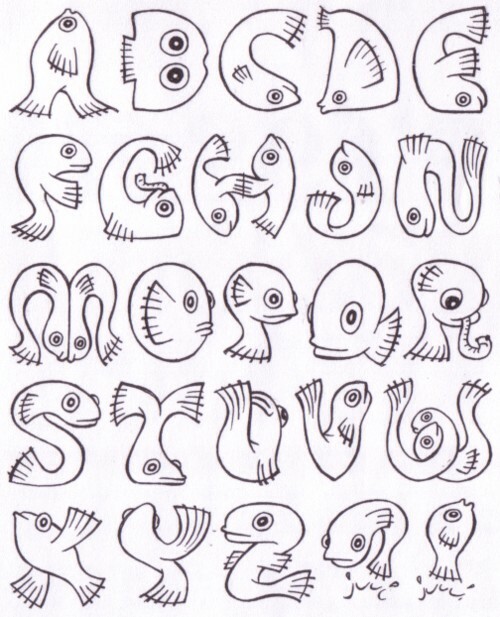 Today I uploaded some new alphabets to my site (here). 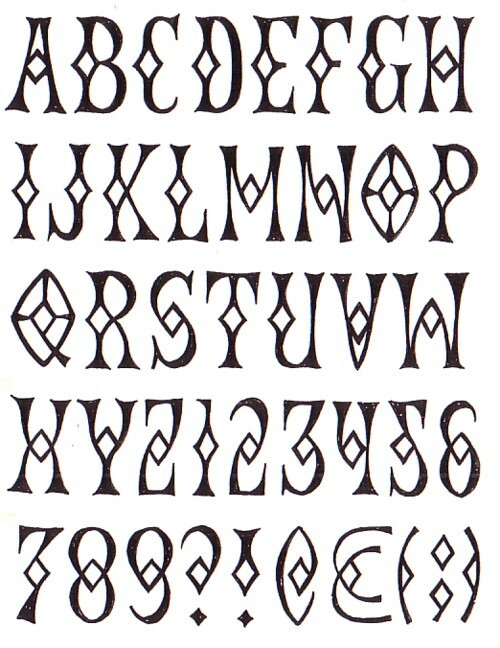 I publish one alphabet every week, and at this moment there are about 100 alphabets available. They are not finished. I made them good enough to be judged, so that if there is any interest, I can try and make a perfect version. So far I got not much reactions, but that could be expected, because hand lettered alphabets are not the most popular thing in the world today. But I did get a mail from a 11 year old girl, who told me that she and her friends used the alphabets for school and loved them. That is enough to make my day. When I made the first series of alphabets, I had the idea to ask people to use the letters for making a book or CD cover, or a poster or whatever, and then make a little booklet of the results. But I never asked anybody, because I would be a lot of work for them and I cannot offer any money. Still, I would love to see my letters being published in a book. It is difficult to come up with an interesting and attractive way to present them. 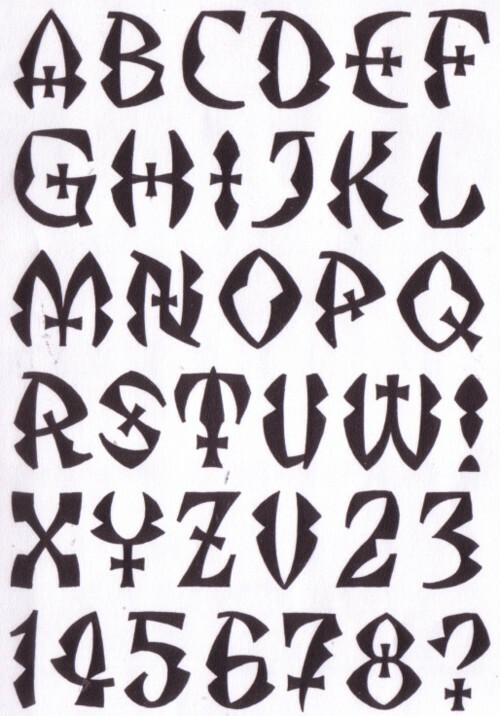 I wouldn’t mind buying a book with 180 black&white hand lettered alphabets, reproduced without any extra’s, but several publishers told me that you cannot sell such a book. The funny thing is that I never use my own alphabets. Whenever I am asked to do a lettering or a logo, I make something new. I am not a graphic designer, I just like to make things and fool around with pen and paper. My son told me last week that I behave like a child, and took that as compliment, although it was clearly meant as something else. John Koenmans has made a amazing compilation with alphabet songs, about which I will write more later. Here is a song that is not on that compilation, which I found here.